Zimmerman, D., D. Turner, and D. Pearson. 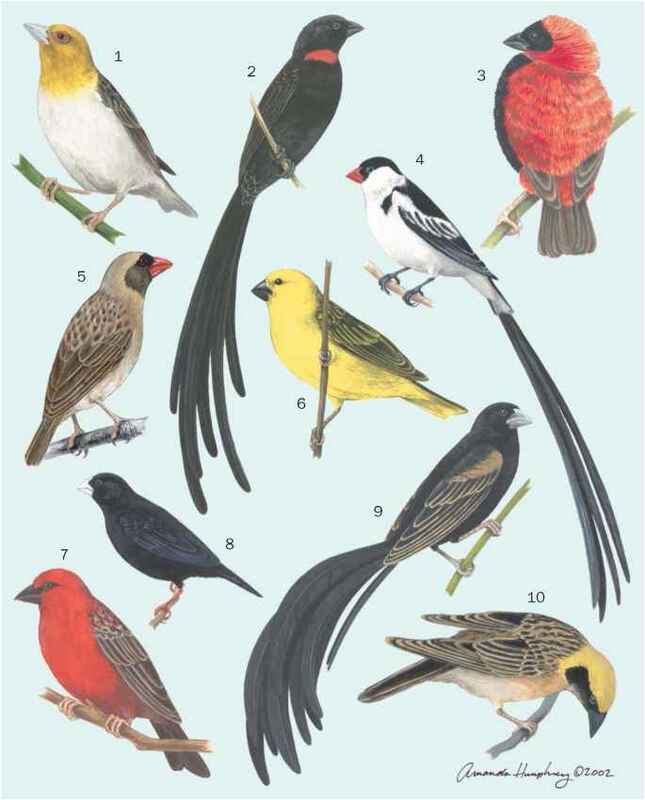 Birds of Kenya and Northern Tanzania. Princeton: Princeton University Press, 1996. Stripling, R., A. Kruse, and D. Clayton. "Development of Song Responses in the Zebra Finch Caudomedial Neostriatum: Role of Genomic and Electrophysiological Activities." Journal of Neurobiology 48 (2001): 163-180. Birds Australia Nest. Birds Australia. 14 November 2001. <http:// www.birdsaustralia.com.au/>. 2000 1UCN Red List of Threatened Species. International Union for Conservation of Nature and Natural Resources. 14 November 2001. <http://www.redlist.org/>. UNEP-WCMC Database. United Nations Environment Programme World Conservation Monitoring Centre. 20 November 2001. <http://www.unep-wcmc.org/>.